Jennifer Love Hewitt may have left Criminal Minds this year but the show will be back. CBS has renewed the venerable series for an 11th season on the network. Criminal Minds continues to follow the FBI’s Behavioral Analysis Unit (BAU) out of Quantico. In addition to Hewitt, this season’s cast included Thomas Gibson, Shemar Moore, A.J. Cook, Matthew Gray Gubler, Kirsten Vangsness, and Joe Mantegna. In season six, Criminal Minds has been averaging a 2.15 rating in the 18-49 demographic with 10.31 million viewers. Year-to-year, that’s down by 14% in the demo and down by 5% in viewership. That’s obviously not a good trend for the ratings but it’s important to remember that most of the network’s shows are down as well. Plus, Criminal Minds is CBS’ third highest-rated dramatic series so it wasn’t in any danger of being cancelled. Word is that negotiations are underway with some of the castmembers and the studio is looking for ways to trim the budget. One way or another, the show will be back next season. What do you think? 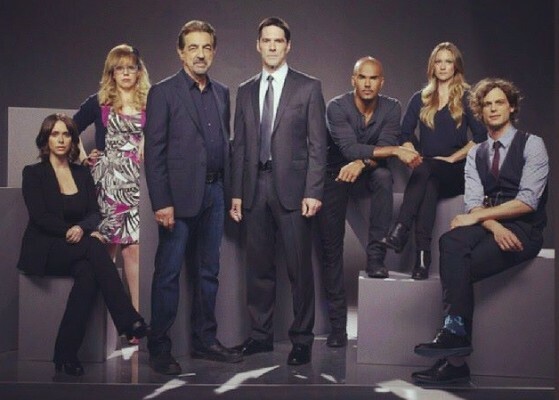 Do you like the Criminal Minds TV show? Would you be upset if some of the castmembers didn’t return? Criminal Minds on CBS: Cancelled or Renewed for Season 15? Criminal Minds: Is the CBS TV Show Cancelled or Renewed for Season 14? Criminal Minds: Cancelled or Renewed for Season 13 on CBS? I fine this show very informational and educational as to how to protect yourself from people in daily life. There are lots of fans older than 49 that watch and love this show, are you counting us in? This is my absolute favorite show on television. I hope it continues for seasons to come!!! This is my favorite show! I have been watching since the beginning, even when they replaced favorite characters. Alway good story lines and what will happen to Derek and Penelope, they are two of the best, I hate it when you blame it on budget cuts. Less and less quality shows all the time. I really like this show. One of my favorites. Only renewing some of the cast would be a big mistake. They have an integral part to make this show work. Budget cuts may help the bottom line, but cutting some cast members will definitely cause the show’s demise. Please leave it the way it is now. This is the only show I watch on CBS! If it goes then I go back to syfy, NBC and tvland! I look forward to this show, it is my me time!! I love all the characters especially Reid!!! This is the only CBS show I watch. If it gets canceled I go back to my other channels, NBC, syfy and tvland!!! I look forward to this show , it is my me time!!! Love all the characters, especially Reid!!! I love this show and would be very unhappy if it did not return or it killed one of the cast members off. They did the to NCIS when they took Ziva off. I viewed my opinion to CBS as millions of other viewers, that meant nothing. To this day I have not watched another episode of NCIS I will when they bring Ziva back.